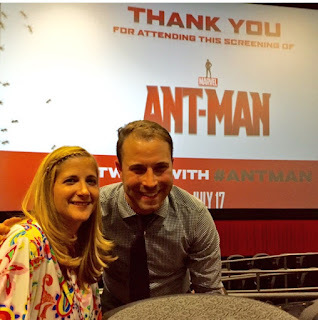 While back in New York City this week, I attended an advanced screening of Marvel’s ANT-MAN hosted by the adorable Paul Rudd. Not being familiar with the tiny super hero or the comics series, I wasn't planning on running to the theater's to see Ant-Man. HOWEVER, I was beyond pleasantly surprised to have enjoyed it a LOT. Being a fan of The Avengers films, I was also delighted to discover that it connects to the series as well. 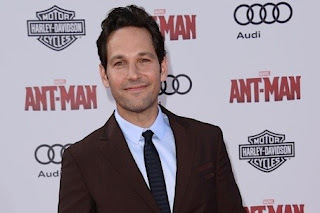 I really loved that tie-in and knowing that Paul Rudd/AntMan will be back in future Avengers' films! If you're not familiar with the story either, here's the plot: The next evolution of the Marvel Cinematic Universe brings a founding member of The Avengers to the big screen for the first time with Marvel Studios’ “Ant-Man.” Armed with the astonishing ability to shrink in scale but increase in strength, master thief Scott Lang must embrace his inner hero and help his mentor, Dr. Hank Pym (Michael Douglas), protect the secret behind his spectacular Ant-Man suit from a new generation of towering threats. Against seemingly insurmountable obstacles, Pym and Lang must plan and pull off a heist that will save the world. Evangeline Lilly (Lost) also stars as Pym's daughter Hope, who is a tough chick who begrudgingly helps to train Scott in karate. Besides the amazing special effects that it took to shrink the character and enlarge the rest of the world, I was also impressed with how they made Michael Douglas look like his 1987 self in the beginning of the film. It was like watching him again in Wall Street. 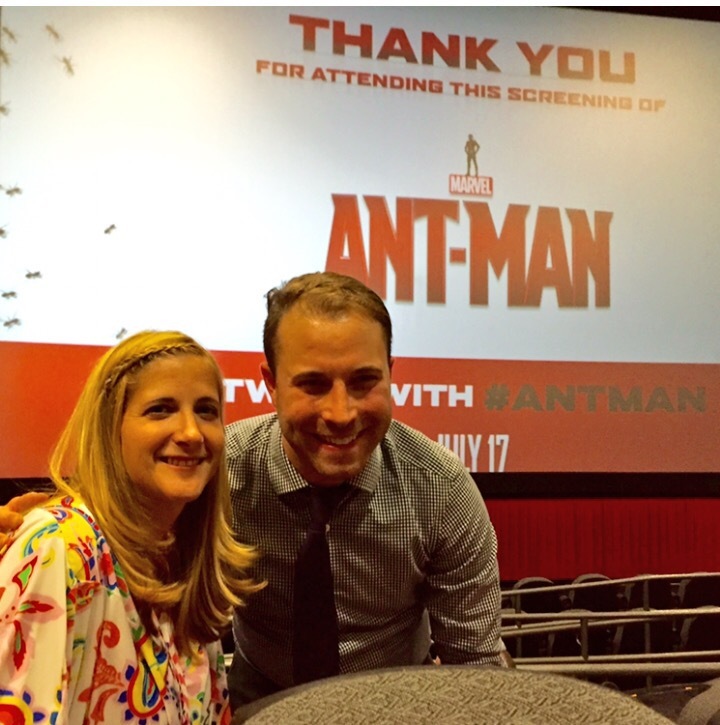 ANT-MAN opens in theaters everywhere Today, July 17th!